Discussion in 'JKT48 Graduated Members' started by animevoicejanai, May 21, 2018. Facts about Erika. Some of these maybe incorrect. Please correct if there 're some inaccurate data. Born in Bekasi to an Indonesian (Javanese) father from Magelang & Japanese mother from Tokyo. Moved to Tokyo and attended SRIT, Indonesian school in Tokyo. 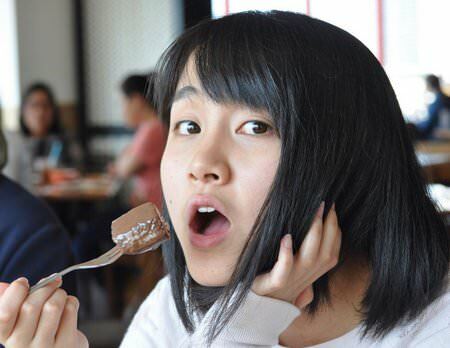 After graduating middle school, returned to Bekasi to join JKT48, she applied JKT48 4th gen and she was a finalist but withdrew because she had to return to Tokyo. 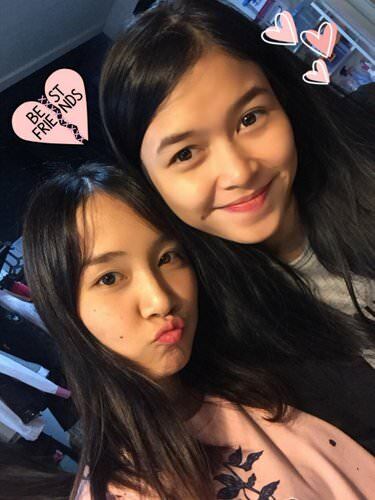 She befriended Yuriva who actually became a JKT48 member but now graduated. Attending SRIT again at 2nd year of highschool which she became president of student council. Back to Bekasi again when she was in 3rd year of highschool. She attended SMA president, a boarding highschool in Cikarang, Bekasi. After finished highschool, she passed examination to study at University of Indonesia, majored in work health & safety. Applied 6th gen of JKT48 and actually passed and became a JKT48 member. Always dreamed to be a JKT48 member since the group's formation but wasn't allowed to move to Indonesia. 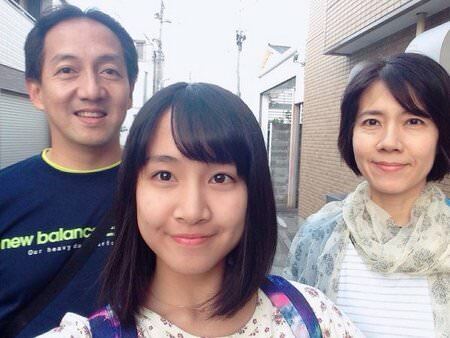 Circa 2013, she was in Akihabara wearing JKT48 tee, she was mistaken as a JKT48 member. According to rumor, she applied HKT48 4th audition. Skills: hip hop dancing, piano, guitar. Favorite artists: LiSA, Sakura Fujiwara. Has a brother who is still very young. Ever been a youtuber. She directed her own short film starring her classmate at SRIT. That's all I know so far. Gonna find out more. From these pics Erika’s face looks like a crossed of Yukirin, Takamina and Jurina Matsui. 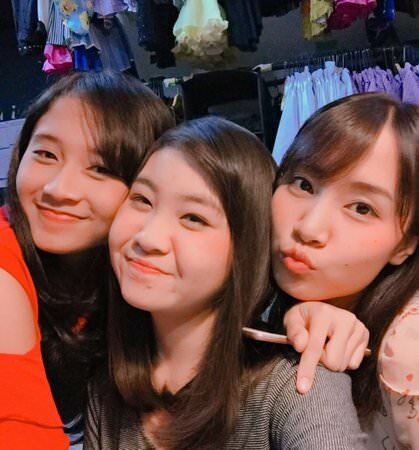 So it’s like kaigai-ing those big three at once into JKT48, ahem. In Japan with Mom. The guy perhaps her relative. 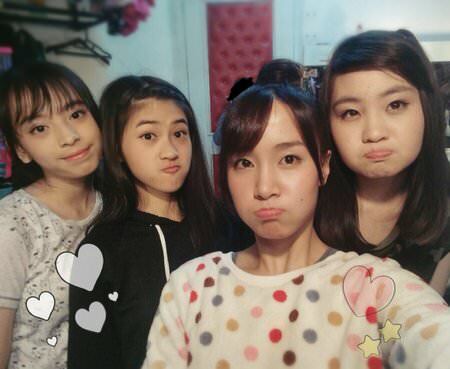 I hope gen 7 & onward, JKT48 will always recruit members like Erika again. Wish Erika didn't get forced to return to Japan in 2015 so she could actually pass gen 4, she'd be better than Devi. But at least she isn't in the neglected generation. Hope she'd rise brighter than Zara. She’s kinda coming late to the show. She would have been one of the coolest member of jkt rigt? Now we wish she's the new coolest girl. In the future after being in team the next step is Erika must create her own image. I imagine her specialty is a cool dancer with Japan standard sort of thing (she's already got a cool J look) as well as singer and appear boyish, some dyed hair like Okada Nana. She gotta work hard for that. Erika with Riri. 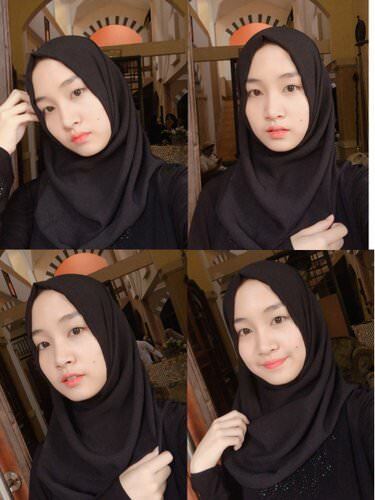 Wearing black shirt makes her look attractive. We can expect tons of kawaii Erika images. Like I have said she’s got typical “cool J” look. As Harugon type of Japanese face is more into mongol-ish while Erika is more ethnic-ish . One day after she's officially being in a team I wish ITS must invite her. ITS again, like no other show . It’s people’s most fav celebs talkshow tho. Next chapter has begun. Late of this year, Erika to get promoted to a team & first single of next year, Erika to make senbatsu debut! Ganbarimasu. Click this if you wanna join Erika's committee. I hope the Komite runs successfully and Erika reach the goals. Seriously, Erika is the girl that JKT48 has been looking for years. I wish Erika became a member of JKT48 since years ago. 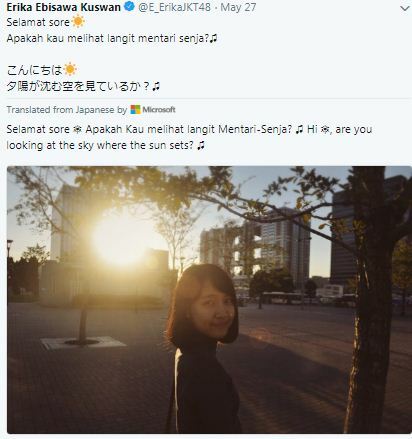 If there's sekai sousenkyo again next year & JKT48 joins, how about JKT48 send Erika? But seems they better send Yupi or Shani instead. About Japan world cup football team won over Colombia. 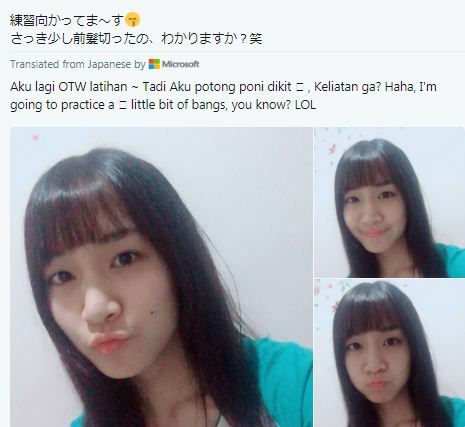 Yesterday Erika shared her tips mastering Japanese. It’s similar with any other language learning eg. watching Japanese tv shows, chatting with native speakers. When learning kanji (if you understand the kanas already) Erika gave a tip by reading manga a lot as there are kanjis with kana along them. What is the terminology, when someone takes a shot for cute purpose the result isn't that really but when without that intention the face captured then look interesting as we can see in Erika here. "Blessed moment " I think is the close term. Amel is cute too, of course. 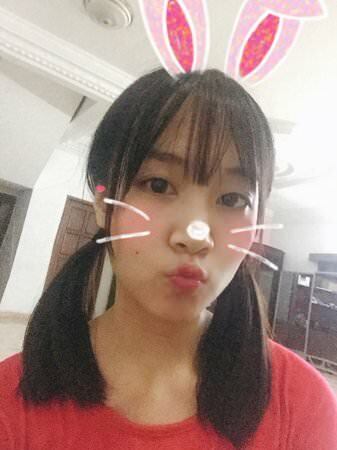 In the original photo the heart sticker written with 'best friends' is being split. In order not to be bad omen since they rent rooms in same building so I stitched the crack it with ‘x’ character in Picasa. Gotta find the identical color in the small blocks colors in the program, you handful! Vibes of Erika as a Japanese girl got ruined because she wears brace. But she's said that she's about to remove it. So we need to support her to remove brace. Seems she wears brace for dental health reason. Well if she just had rabbit teeth then she could keep it as in Japan, rabbit teeth is more popular. So I argue that the reason why she wears brace is because she previously had dental health problem that forced her to do so. Dentists know about it more. And now the time Erika can remove her brace should be close. Whoah, beside Jurina, Naachan & Tomu are following Erika on Twitter! Erika talked about her dorm in UI. She said that most people in her dorm are foreigners (which she's actually also partially a foreigner). This dorm is definitely expensive. And Erika is likely from a wealthy family according to Indonesian standard. Since Erika attends FKM, her dorm is likely in Pocin isn't it? Erika's handshake for Uza/Ebikachu has been sold out. They need to add more slots. Who bulk bought it? On Erika's committee Line group no one claims that thy did it. Probably Erika without notice has a lot of fans from Japan. Seems they're already serious tho Erika is still in her first year as a JKT48 member.